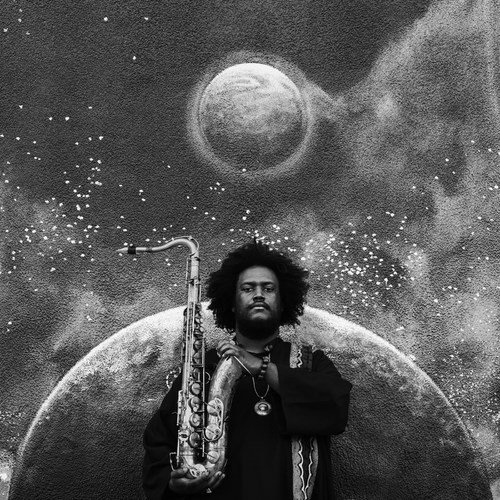 Kamasi Washington (tenor saxophone) and others. At around three hours of music ‘the epic’ is aptly titled. It is not only ‘epic’ in its length, but also in the sheer number of musicians who are playing on the album. Many of the tracks include a choir, orchestra and other instruments you more readily associate with jazz. This is however an album that can-not be ignored. I know as I have been playing it for almost 6 months and it still sounds fresh. The sound has its roots in the spiritual jazz produced by black American in the 1960s but this time done with a more lyrical appeal. To underline this there is a track called ‘Malcolm’s Theme’ referencing the number of black musicians like Archie Shepp, Coltrane and McCoy Tyner amongst others who were in different ways influenced by the black nationalism of the period. If the modernist atonal sensibility is missing then this is nevertheless a deeply ambitious recording. Again unusual in much contemporary jazz is how much of the music is both danceable and accessible drawing on influences from hip hop, world music and the soul music of the 1970s. The album ends with ‘The Message’ (a reference to Grand Master Flash) but it simply continues the bright and optimistic tone of the album suggesting that there are better days ahead for all of us. The theme indeed that runs through the music is a feeling of hope. This is referenced through the sparkling saxophone of Washington and the driving beat that accompanies much of the music. This is less an album of introspective analysis, but is for people who like their music to sound bright and bold. It is quite likely that this album will have a strong cross-over appeal connecting jazz and other audiences. Of course it is too soon to say just how influential this music will be, but expect it to feature strongly in the jazz as well as other end of year listings. If you have not bought yourself a Christmas present yet, or are wondering what to get with that HMV voucher, then let this be the one. A landmark recording that you will return to over the coming years.